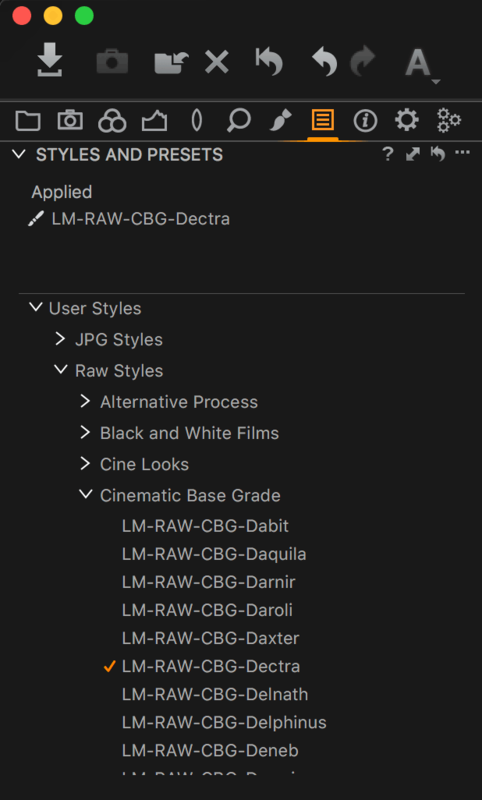 Lutify.me | How do I apply LUTs in Capture One? How do I apply LUTs in Capture One? 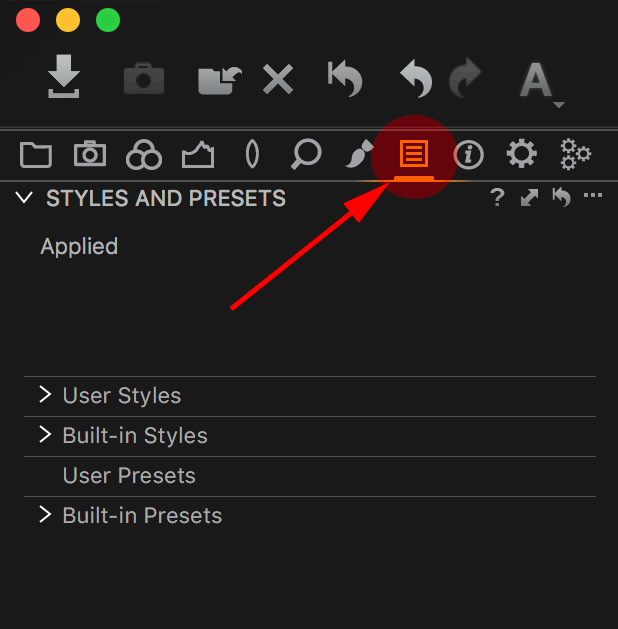 Applying Lutify.me LUTs in Capture One is a simple matter of applying a style under Styles and Presets tab. Please follow these steps to apply a LUT in Capture One. Make sure Lutify.me LUTs are installed in Capture One. If you still haven’t installed the LUTs, please follow the instructions in this document before proceeding. Go to Styles and Presets Tab. 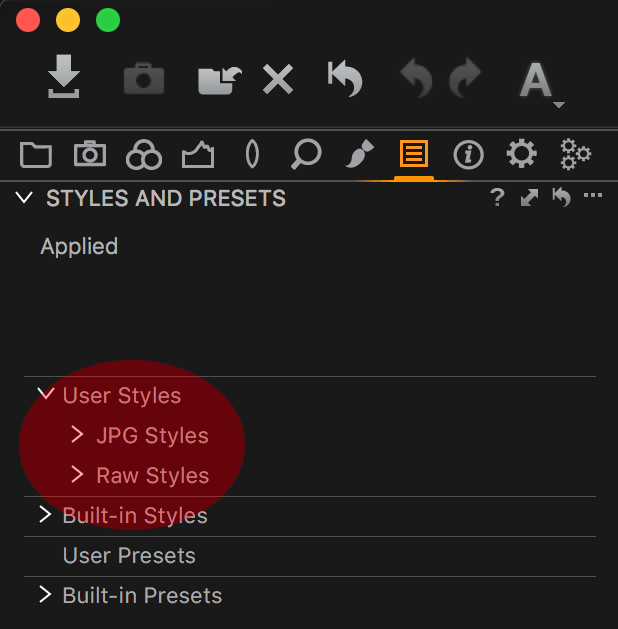 If you followed the instructions in the ‘Installing LUTs into Capture One‘ document, under ‘User Styles’ you should have the following folders – JPG Styles and Raw Styles. Select the appropriate LUT by clicking on it. Use JPG Styles to apply LUTs on JPG, TIFF or PNG images. Use Raw Styles to apply LUTs on Raw images supported by Capture One. Make sure you’re applying appropriate type of LUT for the type of image you’re working on – JPG Styles for JPG, TIFF or PNG files and Raw Styles for Raw images. Using inappropriate type of LUT will lead to unexpected results as there are substantial differences between the two types of LUTs.